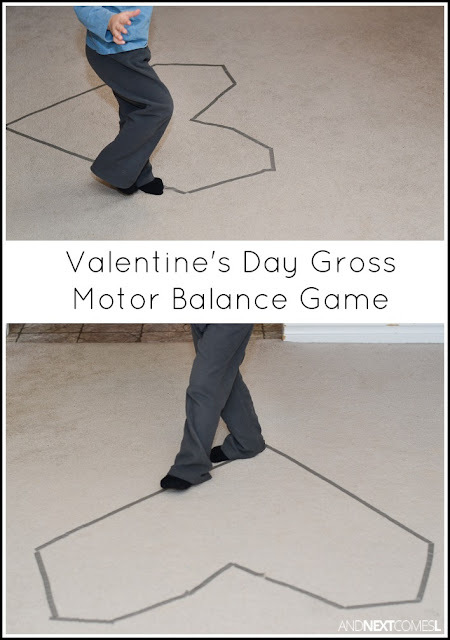 We've been doing a lot of Valentine's themed gross motor activities lately, including this simple heart themed gross motor balance game. It's really low prep, making it a perfect boredom buster for cold winter days. It's January in Saskatchewan, so we have been having a lot of those cold winter days like we normally do. In fact, this past weekend we had a cold weather warning in effect because the temperatures were in the -40 C or colder range. Brr. So if you find yourself trapped indoors because your car won't start or you just don't feel like braving the cold, then this low prep Valentine's themed boredom buster is perfect for you. The kids can help you set it up and keep their bodies moving! 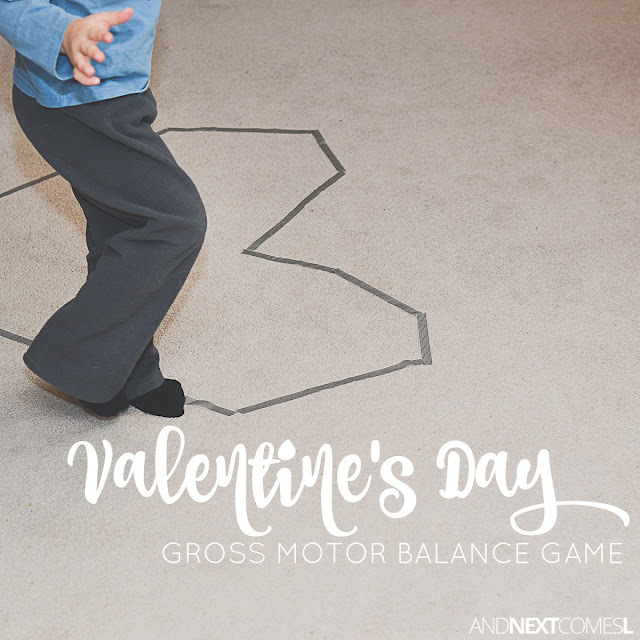 Although this Valentine's themed boredom buster targets gross motor movements, there is a great fine motor learning component to it as well. You'll have to read the full post to find out more about that though.